When the fourth Jurassic Park was finally given the green light, after more than 13 years of development, it seemed like it would never be released. But this isn’t uncommon in the film industry, many films just don’t make it. For the most part, these films are never cancelled outright, but instead are left to gather dust as production slows down. There have been numerous films which were stuck in development until they are finally finished and released. The Hobbit trilogy was one such example, before filming could even begin, the studio was involved in a dispute over copyright and creative control issues before finally receiving the go ahead. Aliens vs Predator was a concept originally intended to follow the release of Predator 2 in 1993, but due to actor changes and various delays, it was never finished until its release in 2004. So what movies have been trapped in development hell and will they ever see the light of day? 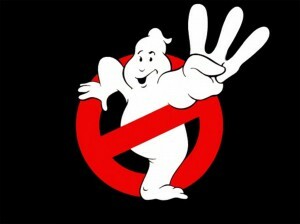 Probably the most famous film which has been circulating rumours for well over a decade is Ghostbusters 3. On numerous occasions, members of the original cast have released loose confirmations of the projects go ahead, including Dan Akroyd who on a number of occasions reported on supposed script ideas but none of which have lead to anything concrete. Akroyd originally wrote a script for a potential Ghostbusters 3 story which revolved around the gang being sent to a hellish version of Manhattan, but in the end it didn’t fit in with a new film so the idea went to the video game instead. Bill Murray, who played Peter Venkman in the first two, reportedly isn’t even interested in returning. Quite the obstacle considering how important he is to the entire Ghostbusters world. Unfortunately with the death of Harold Ramis last year, the sequel looks like it will remain in development hell, and maybe it is for the best, as you couldn’t possibly have Ghostbusters without Egon Spengler. Halo, one of the biggest selling video games of all time, was always going to be rumoured in having a film adaptation, but things took a leap forward in 2005 when Microsoft hired Alex Garland (writer of Sunshine and 28 Days Later) to write the screenplay. Then Peter Jackson and Neil Blomkamp (director of District 9) were hired as producer and director, it seemed like a dream team and only needed a green light. But thats about as far as the project would go. When Microsoft were looking for studios interested in picking the film up, many rejected on the grounds of Microsoft’s asking price. It took 20th Century Fox and Universal to team up and before production could begin, problems broke out in regards to profit-sharing, resulting in the entire project to collapse. But there is still hope; Blomkamp has on numerous occasion expressed his desire to return to the project, something he really feels strongly about. The Dark Tower is another film on the verge of being made, but never quite getting there. A series of eight book by Stephen King, The Dark Tower follows Roland Deschain, a gunslinger chasing ‘a man in black’, incorporating several themes including Western, fantasy and horror. JJ Abrams was attached to the project in 2007 but subsequently pulled out of involvement. It was then later announced that not only a film version would be released but also an accompanying TV show to bridge the gaps between the films. The epic scale of the books would be difficult to reproduce on the big screen, which lead to various studio drop outs and different directors picking the project up. The latest being Ron Howard who has been backed by Stephen King, and HBO to concentrate on the TV portion. 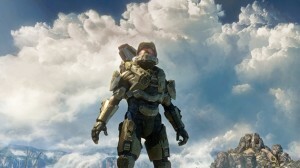 The status of the project remains unknown, and with no studio picking it up, the wait could be a long one. All fans can do is sit and wait for the right moment, when the right person is attached to the film and it can finally be given the green light, but until then, these projects will be gathering dust with the hundreds of other films resting in development hell.